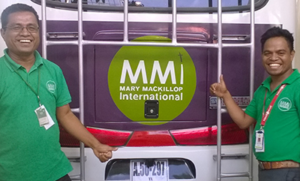 Thanks to dedicated Australian supporters like you, MMI has purchased a bus which is being converted into a Mobile Learning Centre in Timor-Leste. It will be fitted out with Tetum literacy books, music equipment and other educational resources. The bus will visit schools, orphanages and disability centres in marginalised communities with MMI’s trainers using craft, music, puppet shows and fun interactive games to help the children develop a love of learning. MMI’s 5-day introductory workshop in the remote districts of Timor-Leste provides teachers with the essential skills to provide health information in an interactive way using music, drama and enjoyable games to excite, engage and educate children in basic sanitation, disease prevention and hygiene, increasing their chances of living full and healthy lives. Julimera is a dedicated primary school teacher in Viqueque and mother of four. 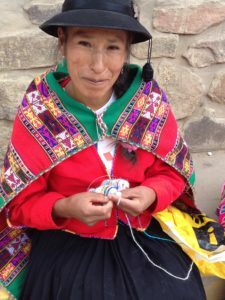 Up to 60 women in Peru have been able to develop essential and productive skills in business, design, production, marketing, financial management, computing, conflict resolution and leadership. The women are able to use these skills to produce handmade Fair Trade products which are available for sale in Australia through MMI’s Fair Trade organisation, Ethica Accessories. The women are paid a fair price for their products providing the ability to support their families not only with sustenance but building confidence and creating hope for their future. All that we do, depends on the generosity and kindness of friends like you, a small gift can have a huge impact, ensuring that MMI’s vital education, health and livelihoods programs can continue to provide a brighter future for all. DONATE NOW.